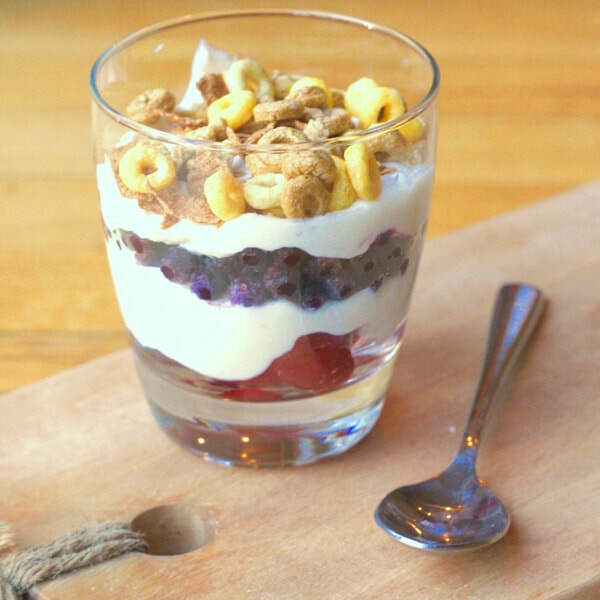 Using Greek yogurt adds a lot of protein to this parfait... But if you can't find it or don't have any, regular low-fat vanilla yogurt works well too! *Nutrition information includes blueberries and Cheerios for analysis.